Anurag Kashyap’s forthcoming movie Manmarziyan is an intense movie featuring Abhishek Bachchan, Taapsee Pannu and Vicky Kaushal. The movie will also mark the comeback of junior Bachchan after a gap of two years. Celebrities and critics took to social media recently to share first look photos of the characters from the movie. Check them out here. The makers of Manmarziyan gave a sneak peek into the looks of the lead actors starring in the movie. The photos were shared on several social media handles giving a closer look into the characters of the movie. Abhishek Bachchan, who plays a Sardar in the movie, looked intense in this first look photo. 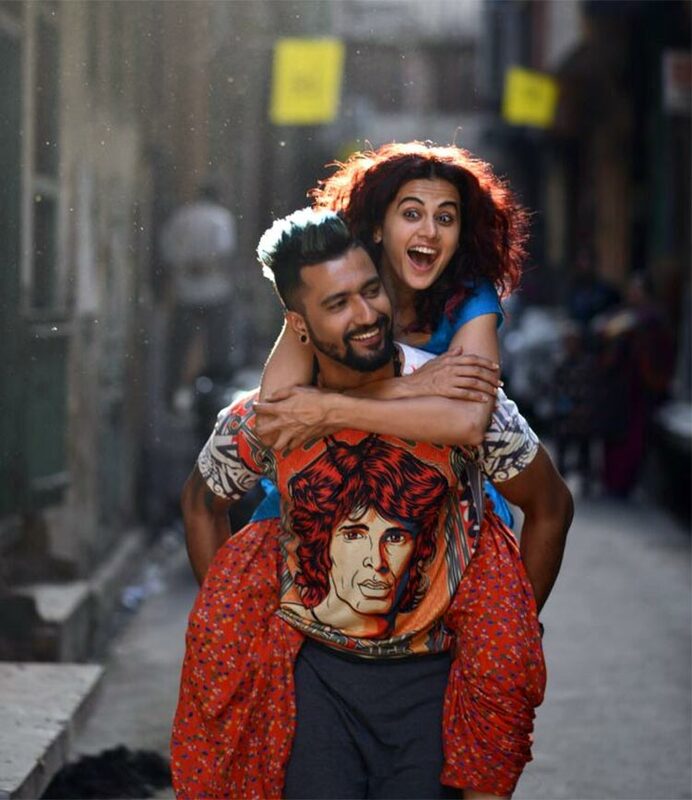 Another first-look photo from Anurag Kashyap’s forthcoming movie gave a glimpse into the characters of Vicky Kaushal and Taapsee Pannu. The actors and their never-before-seen hippy look will make it difficult for the fans to wait for the wait.